This is a quick post to show you how beautiful, chic things can be made from other people’s junk. 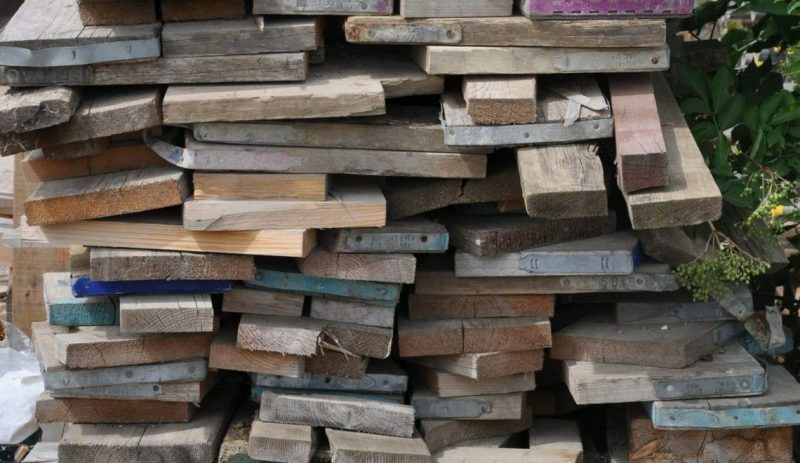 My wonderful carpenter Willie collects scaffold planks from construction firms who, for health and safety reasons, throw them out after a certain time. They are wonderfully solid and weathered to perfection. Willie uses them, in the same way as any other wood, to build pretty much anything. I asked him to make me a headboard for my teenage son’s bed and as you can see, he didn’t disappoint. With only labour costs to pay because the scaffold planks are free, the whole thing cost me £120. So if you’re after an industrial chic look in your bedroom, or anywhere else for that matter, consider reclaimed scaffold planks – a virtuous circle of upcycling an industrial material to create an industrial look! The beginnings of a kitchen island made from reclaimed wood for a well known tennis player!